For readers of a certain age Southampton Football Club will always be associated with The Dell; the atmospheric old stadium that the Saints called home virtually from their inception until they left the place in 2001. There had been talk of leaving the famous old ground as early as the 1980s but the powers that be could never quite find the right location. That all changed when the council offered them ground in the heart of the city and work began on building the new ground in 1999. Both the ground and the club itself get their names from the same place, though in the case of the club it’s actually their nickname. 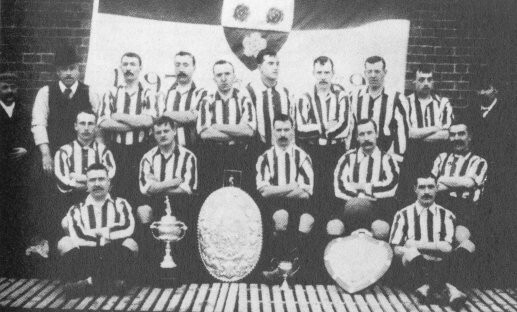 Formed in 1885 as St. Mary’s Church Of England Young Men’s Association, they became St. Mary’s FC in 1887, Southampton St. Mary’s in 1894 and simply Southampton FC in 1896. The fact that they were formed as a church football team is why they are known colloquially as ‘The Saints’ and the location of the new stadium as being close to St. Mary’s church, where the club was formed, is the reason behind its name. As St. Mary’s is a reasonably modern stadium it has also followed the modern trend go having a bowl style design. There are four stand that are all joined together and are all of the same height. Interestingly, Southampton have forgone the phenomena popular in plenty of grounds of naming their stands after famous people from the club’s past and have instead opted to name them after the area of the city that the stand faces. The Itchen Stand - Facing the river Itchen from which it gets its name, this stand houses 42 executive boxes, the police control room, the club’s offices, the press facilities, the changing rooms and some corporate hospitality suites. The Northam Stand - This is the part of the ground that houses the away fans and, perhaps because of that, the most vocal of the home fans. The Chapel Stand - Sitting behind the goal and with one of the largest sections for disabled supporters, The Chapel Stand can produce a great atmosphere. The corner between Chapel and Kingsland stands is the family section. The Kingsland Stand - Plenty of passionate Saints fans call The Kingsland Stand home and there is another excellent area here for disabled supporters. There are also plenty of premium seats here, so if you’re happy to splash the cash then this might be where you’d consider sitting. Southampton have one of the easiest to understand ticketing policies in the Premier League. They break matches down into different categories as follows: Category A matches are against Bournemouth, Arsenal, Chelsea, Crystal Palace, Liverpool, Man City, Man United and Tottenham Hotspur. Games against Everton, Newcastle and West Ham are Category B, whilst Category C matches take in Aston Villa, Leicester City, Norwich City, Stoke, Sunderland, Swansea, Watford and West Brom. Southampton have a comprehensive and reasonably easy to use website that should be your first port of call if you’re hoping to pick up some tickets to see the Saints play. You can also phone the ticket booking line or call in to the box office at the stadium. Tickets go on sale to Official Membership holders first before being released to the general public, and you can become an official member by paying a fee to the club. There may be people offering to sell tickets to you near the stadium on the day of the game, but we’d strongly recommend against purchasing your ticket in this manner. Southampton is out on the South coast, so it isn’t the easiest of places to get to to be honest. The club knows it, though, so there’s excellent information on the official website including a journey planning tool. We’ll give you some brief guidance here too, though. train - Southampton Central Train Station is in the heart of the city and is operated to from plenty of different mainline stations, so it’s a good option if you’re hoping to get the train. There is also a shuttle bus service operated by the club that runs from two hours before kick off and costs £2 for a return on production of a match or season ticket. If you’d rather walk then it will take about 15 minutes to do so. Bus - Buses are operated from throughout the town by BlueStar, First Bus and Velvet Bus companies, so wherever you’re hoping to travel to the stadium from they’ll have you covered. Buses 8A and 18 will take you from the station to the ground. Car - Southampton’s somewhat remote location means it’s actually reasonably easy to reach by car. The M3 and the A33 are the roads you’ll be looking to take from the North and London. Obviously if you’re after more specific directions then a sat-nav will be your best friend. By Air - Southampton Airport is serviced by plenty of the country’s chief airports including Manchester, Glasgow and Edinburgh. Southampton Parkway Train Station will be able to take you to the city centre and from there your options to get to the ground will be numerous. Taxi - A taxi from the train station to the ground will take less than 10 minutes and will cost you a little over a fiver. Because there are parking restrictions in place around the stadium on a match day the club vehemently recommends that you avoid driving to the ground, but if you still really want to then the official website has a host of council car parks that it suggests you use. Located less than a mile from the stadium and with a bar and lounge on offer, The Star Hotel has 3 meeting rooms and free Wi-Fi, should you be looking to do a bit of business whilst you’re on the coast. More details. A three star hotel with a restaurant an a bar, you know what you’re going to get from a hotel in the Jurys chain. There’s a conference space, multilingual staff and, of course, free Wi-Fi. the hotel is half a mile from the ground. More details. The Grand Harbour hotel offers an indoor pool, a full-service spa and a restaurant as well as a bar/lounge area. It is on the waterfront, so expect good views, and also has a strange pyramid design that is reminiscent of the Luxor hotel in Las Vegas. It’s more like a mile away from the stadium, but it’s still not going to take you long to get to the game. More details. Bedford’s is named after the thriving Bedford Place area of the city and welcomes people of all ages. They serve food, have good drink options and show plenty of live sport on big screens dotted throughout the pub. A little further afield at around 15 minutes drive from the ground is The Elephant and Castle. It’s a friendly bar full of local spirit and with a top atmosphere that has a good selection of beers, wines and spirits. A bar that very much caters to the sports fan, Yates Southampton has 11 plasma screens and 2 large projector screens. They boast a brilliant atmosphere, serve food and become an exciting night time venue when the sun goes down. The modern design of the stadium means that the facilities at Southampton are better than at plenty of older grounds in the Premier League. There are places on the concourses to buy both hot and cold food and drinks, you’ll be able to place a bet in one of the numerous kiosks around the place and the toilets are clean and modern. As a reasonably new stadium the hospitality packages available at St. Mary’s are top-notch. There are different options available for you depending on what you’re after and how much you’re willing to spend. We won’t go through every single package that the club has to offer, but we’ll talk you through some of the most popular because we’re nice like that. Saints Bar calls itself ‘your favourite pub in the heart of St. Mary’s’, so that should give you an idea of the sort of atmosphere they’re hoping to create. You’ll get pub style food, a cash bar and a drink at half-time. Not the most all-encompassing of hospitality lounges but certainly one of the most fun. the President’s Lounge is a slight step up in terms of quality, calling itself a ‘stunning contemporary setting’. You’ll enjoy a pre-match buffet and all-inclusive drinks package, a match day magazine and you’ll be welcome after the game, too. The Markus Liebherr Lounge is named after the man many consider to be the ‘saviour’ of modern day Southampton FC, The Markus Liebherr Lounge is one of the top-end packages on offer at St. Mary’s. With a three-course fine dining experience pre-match, an all-inclusive premium drinks package, half-time refreshments and a full-time cheese board, what more could you ask for? Not much, but you may well be treated to a player appearance and you’ll get one car parking space per four people you go with. There is virtually no part of St. Mary’s Stadium that isn’t available for private hire if you’re putting on an event and looking for somewhere to host it. Fancy having a get together in press lounge? No problem. Got a big party and want to dance the night away in the Matthew Le Tissier Suite? You’d be more than welcome. Form the club’s boardroom and press conference room through to executive boxes or even a SuperBox, there will almost certainly be a suitable part of the stadium for your event to be hosted in. The club welcomes events as diverse as an awards ceremony or a family christening through to a wedding ceremony and breakfast. Being in the heart of Southampton, the ground is an ideal location for whatever you’re up to. Operating on Saturdays that there is no match on and lasting around 90 minutes, a tour of St. Mary’s will take in the changing rooms, the baths and warm-up rooms, the tunnel entrance and the side of the pitch. They cost £15 for adults and £7.50 for concessions with season ticket holders being able to claim a 50% discount. They do book up quickly, however, so make sure you’re quick off the mark if you want to see where your heroes prepare for the match ahead. Southampton won the FA Cup in 1976 and came close to winning the league in 1984, eventually losing out to Joe Fagan’s all-conquering Liverpool by just 3 points. No shame considering the Reds also went on to lift the League Cup and European Cup that season. When the Saints were relegated from the Premier League in 2005 it brought to an end 27 successive season’s in England’s top-flight league. 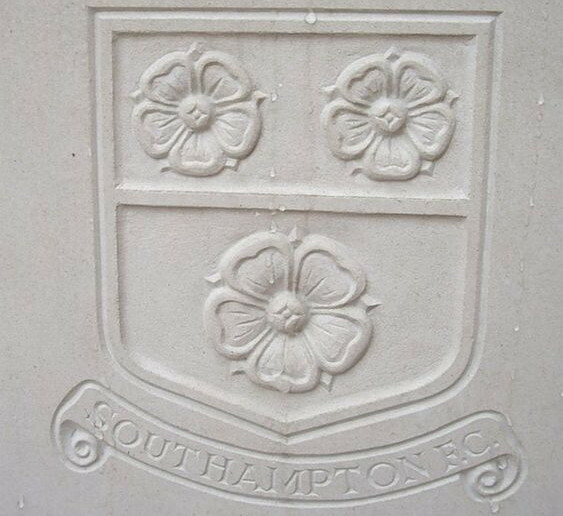 One of Southampton’s more unusual claims to fame is that they notched up a unique ‘even season’ in 1922-1923, winning 14, drawing 14 and losing 14 games, earning 42 points - or one per game - and scoring the same amount of goals as they conceded, finishing mid-table. 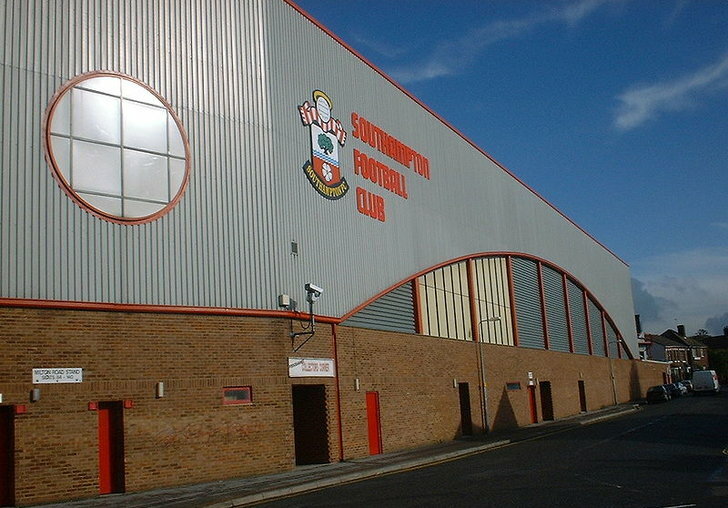 The club went into administration in 2009 and faced bankruptcy before being bought by Markus Liebherr, whose family still own Southampton to this day. Since then they have enjoyed steady progress and are now one of the Premier League’s mainstays. The Saints moved in to St. Mary’s in August 2001 having departed The Dell at the end of the previous season. Their former ground could only hold about 15,000 by the end of its life, less than half of the amount that can fit into the new stadium. The capacity at St. Mary’s is technically 32,505 including the director’s box and the press section, though it will rarely be as full as that because of segregation rules between home and away fans. When the ground was first opened it was called ‘The Friends Provident St. Mary’s Stadium because of the stadium sponsor. When flybe.com took over sponsorship duties in 2006 they chose not to take up naming rights and so the place reverted to merely St. Mary’s Stadium. Ted Bates was a Southampton player who later became a manager, a director and even the president of the club. He was so heavily associated with the place that he was known as ‘Mr. Southampton’ and in March 2007 a statue to commemorate him was unveiled outside the ground. St. Mary’s is the largest stadium in the South of England outside of London, yet in 2012 they announced plans to expand the stadium to around 50,000 seats. Though they have not ruled out that expansion they have decided to put things on the back-burner for the time being.